Somewhere in the audio landscape, between the “fedora and vest” alt country set and the cerebral meanderings of the neo-hippy jam bands, you will find a sound that is at once familiar and joyously new. 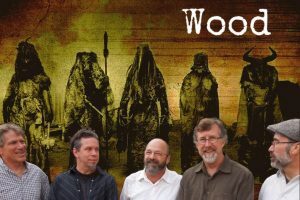 Wood is an acoustic ensemble which weaves together the influences of many musical styles. Songwriters Steve Kindel, Paul Silva, And Dahlan Richenberg join Rob Strom (bass) and Barry Johnson (percussion) to create a wonderful mix of catchy melodies, thick harmonies, and profound, sometimes hilarious lyrics. It is good, honest music, sometimes a little hard to define, but music that stands comfortably in the Roots Rock/Americana cue. 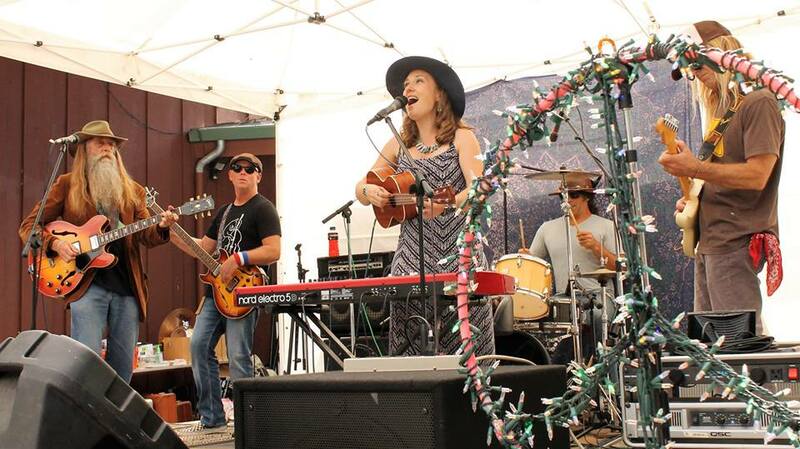 Groovy, jazzy, original, thoughtful and genuine – Erin Inglish Trio presents an engaging and heartfelt show every time! 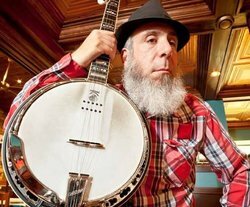 Inglish is a powerful singer and tour-de-force banjo chanteuse. Her performances proffer passionate lyricism, toe-tapping grooves, and striking reflections about the state of the modern world. 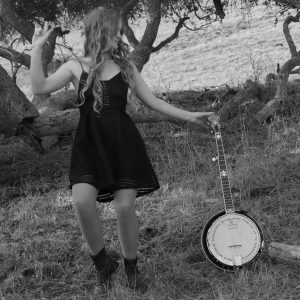 Inglish’s voice is both lush and raw, and her picking style on the five-string banjo is uniquely her own…expressive, sassy, dynamic. 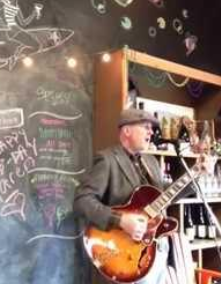 The Erin Inglish Trio is focused on JAZZ and celebrates old-school-style jazz in the spirit of Edith Piaf, Ella Fitzgerald, Billie Holiday, and Chet Baker. They will get your feet dancing and your heart smiling! “Who’s here now” and “who hears now,” traveling across time and space to share our music, sometimes across the Central Coast of California, or across the country in our tour bus The Dragon, and sometimes through the inter-webs of life, wireless re-wiring, the live streaming of the band inspiring through what we have to add to the collective conversation. Our music holds a unique sound and a moving power that enriches and contemplates life, bringing awareness to our reality living on this planet. We are fans of being alive in this marvelous universal ecosystem! 300-320 CISSP N10-006 300-208 300-101 ADM-201 70-462 EX200 210-260 200-120 70-533 MB2-707 ADM-201 70-533 810-403 MB5-705 350-018 400-201 200-120 N10-006 ADM-201 300-320 400-101 200-120 200-120 400-201 300-101 350-018 300-320 300-101 210-060 300-115 SY0-401 210-260 200-120 SY0-401 300-070 400-101 210-060 1V0-601 CISSP 100-101 NSE4 300-320 300-115 9L0-012 70-486 MB2-707 810-403 NSE4 MB2-707 400-101 300-075 N10-006 400-201 ADM-201 CISSP 400-101 300-320 100-101 NSE4 N10-006 300-075 210-260 EX200 200-120 300-320 300-320 SY0-401 210-260 400-201 70-533 N10-006 300-070 210-060 200-310 SY0-401 352-001 300-320 100-101 810-403 MB2-707 N10-006 200-120 CISSP 810-403 300-075 210-060 210-260 300-075 210-060 642-999 300-115 70-461 MB2-704 MB2-707 810-403 210-060 70-533 1Z0-060 EX200 350-018 1Z0-803 210-260 400-101 400-101 810-403 810-403 CISSP 200-120 N10-006 CISSP 300-320 100-101 200-310 210-060 810-403 350-018 300-101 300-206 300-070 ADM-201 210-260 400-101 MB2-707 ADM-201 350-018 200-310 SY0-401 350-018 400-201 SY0-401 200-120 210-260 400-101 70-533 400-101 ADM-201 200-310 210-060 210-260 300-135 400-201 810-403 200-310 400-051 CISSP 810-403 " 810-403 " 300-208 " 70-687 " N10-006 " 500-260 " 210-260 " 200-310 " 70-410 " 400-051 " 350-018 " 810-420 " 640-875 " 70-643 " 200-125 " 810-403 " 210-260 " 70-460 " 200-101 " 1Y0-300 " 400-051 " 642-467 " 350-018 " 400-101 " SY0-401 " 642-181 " MB2-707 " 200-001 " 200-120 " MB2-707 " SY0-401 " 2v0-621 " 250-001 " 220-802 " 200-120 " 9L0-418 " 70-464 " 200-120 " 70-533 " N10-006 " 350-060 " 210-060 " 200-310 " 400-201 " 300-320 " CISSP " 70-410 " 700-505 " 70-680 " mb2-707 " 400-101 "